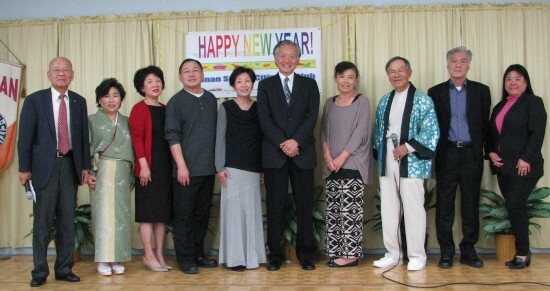 Members of L.A. Kayo Club with Seinan Senior Citizens Club President Yoshio Suzuki (left), Consul General Harry Horinouchi (center) and emcee Mika Matsui (right). The Seinan Senior Citizens Club, now in its 45th year, celebrated the new year last Saturday at the Seinan Senior Citizens Center in L.A.’s Crenshaw district. Emceed by Mika Matsui, the program opened with Sam Kawata, president emeritus, calling for a moment of silence in memory of departed members and friends. President Yoshio Suzuki thanked the many volunteers who support the club’s programs, which include sewing, minyo, calligraphy, karaoke, computer, ikebana and line dance classes, and asked everyone who has participated for 25 years or more to stand up and be recognized. 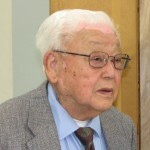 Among them was 96-year-old Kiyoshi Shiozaki. Consul General Harry Horinouchi, making his second appearance at the event, noted that with the addition of two strokes, the character for Year of the Monkey can be changed to nobiru, meaning to grow. 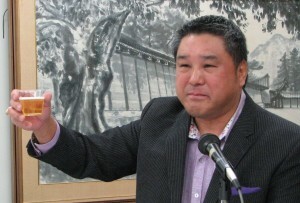 While the seniors in attendance are unlikely to grow taller, he said, they can grow by developing their talents in such areas as singing and dancing. Albert Lord, deputy for City Council President Herb Wesson, had been scheduled to speak but was unable to attend. 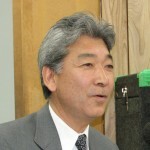 Jeff Yamazaki, senior vice president of the Japanese Chamber of Commerce of Southern California, delivered greetings on behalf of the group’s new president, Kitty Sankey. Quoting from an article titled “Good fortune and happiness will come to those who smile,” he told the seniors that research indicates smiling more can reduce stress and is good for one’s health. 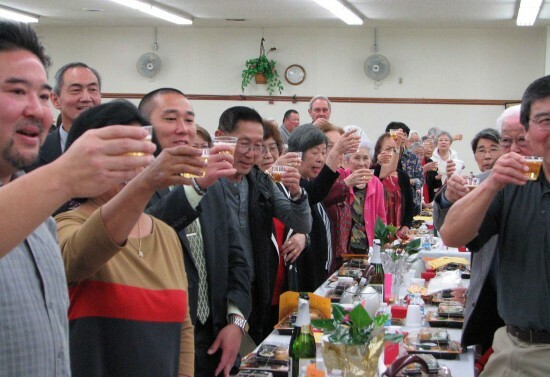 Attendees drink a toast to the Year of the Monkey with sparkling cider. 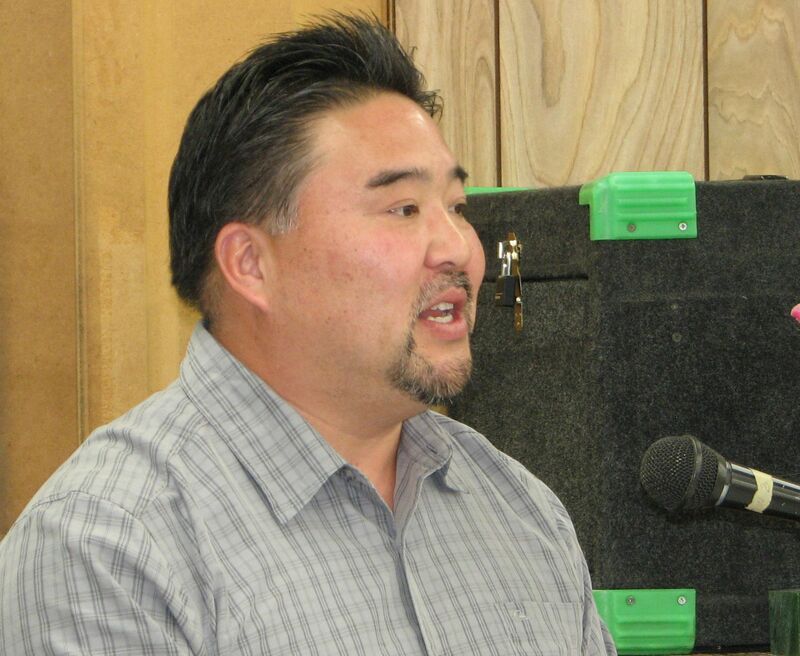 Dean Nakanishi, administrative director of the Asian American Drug Abuse Program, was the guest speaker. Born in the Year of the Monkey, he has worked at AADAP for 23 years. 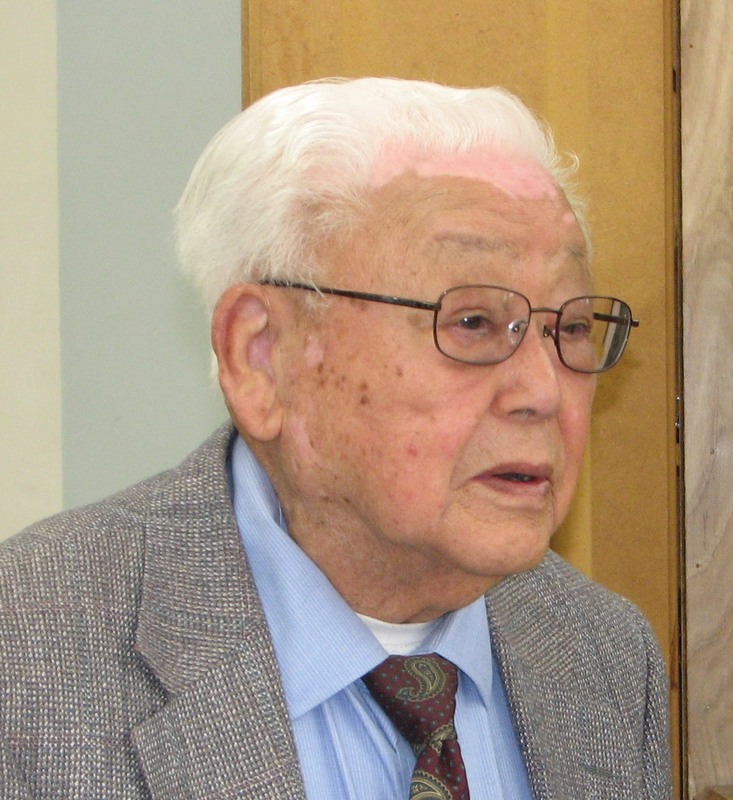 AADAP was founded “by progressive Japanese Americans from this community, the Crenshaw community” in 1972 and was able to get federal funding with help from leaders like Mas Fukai, Ford Kuramoto and Patrick Okura, Nakanishi said. “Now AADAP has over 10 facilities and an array of social services. We provide primarily drug abuse treatment for high school and adults, outpatient and residential services. AADAP has provided a “safety net” for those who are dealing with substance abuse and find it difficult to ask for help because of their upbringing in the Asian American community and culture, Nakanishi added. Following lunch, door prizes were given out and musical entertainment was provided by the L.A. Kayo Club. The audience was surprised and delighted when the consul general took to the stage to perform one of the songs.